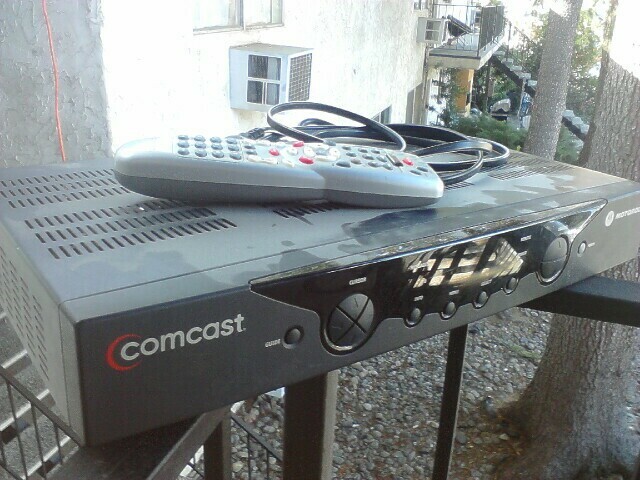 Across the country and soon in Chico, Comcast is slowly lowering a digital boom over its customers as part of the cable company’s transition from analog to digital television services. While the company’s new digital cable adapters will add another gadget to the jumbled electronic menagerie inhabiting people’s living rooms, the change may remove one of the hurdles to many customers’ holy grail — being able to pick, and pay for, only the channels they want to watch. First off, the idea that Comcast would offer most of its channels as a la carte selections is merely a dream — I haven’t seen any indication that the company would want to do so. I’m only asserting that digital TV makes it more practical than before. We haven’t heard much about a la carte in several years, but the idea remains intriguing. Instead of paying for 80 channels and watching just four, customers could pick and pay for the four channels they actually watch. When the customer choice debate was raging, the cable and satellite industry had several objections, including that it was technologically difficult to deliver just the channels a customer wanted. That’s understandable with analog cable — in my experience, it’s difficult for the cable company to block off channels that customers aren’t supposed to have access to. That hurdle was removed with digital cable and it should become insignificant as Comcast forces its customers to go digital. Cable companies can more easily lock and unlock channels that a customer signs up for. I’ve experienced this several times with premium channels and pay-per-view on my digital cable box. I haven’t dealt with the more simplistic digital adapter, but I imagine Comcast would still have greater control over what’s being delivered on its pipes than during the analog days. While billing for single channels may be a headache, the delivery system itself should be better suited for a la carte. While the public desire for a la carte may have waned, I still think it’s worth giving it a shot. Access to individual episodes of shows has taken off through digital video recorders, download sites like iTunes Store and streaming sites like Hulu, but there are some downsides to the individual episode approach. Not all series are available in these different formats. It may be easier to have access to a whole network than buying shows piecemeal. In addition to technological hurdles, a la carte pricing may not be cheaper than the current bundled rates, based on earlier studies. The theoretical a la carte offerings may be slightly more expensive, but at least the customers would paying for the services they want and not necessarily what the operators want them to have. In just two days, I’ve seen a pair of reminders of the power media providers have when it comes to providing access to content. These providers are Amazon and Comcast. On a national scale, some people have been crying foul about Amazon reaching out and deleting copies of books on their Kindle e-book reader. Many have noted the irony that the books being deleted in this Orwellian fashion are those by George Orwell, he of “Animal Farm” and “1984” fame. As Ars Technica notes, it appears that a third-party publisher may have not had the rights to sell Orwell’s books. I can appreciate Amazon’s desire to try to correct a situation a third party has put the company into, but I also hope that Amazon sticks to its word and doesn’t automatically delete purchased books in the future. On the personal level, I received a letter from Comcast regarding their On Demand service. In its letter, Comcast wanted to tell me that my wide access to use On Demand to watch shows and movies from most channels at any time was a mistake. Comcast stated they were limiting most of my access unless, of course, I chose to upgrade to a more-expensive package. I downgraded to local channels to save money. While On Demand is a nice perk for a handful of shows I don’t have access to anymore, it’s simply not worth the additional $40 per month to return to Standard Cable with Digital. I don’t quite understand it — Comcast should be encouraging use of On Demand because it offers a lot of the advantages of watching shows on the Internet, but from the comfort and convenience of your living-room television. Instead Comcast is helping me opt for the cheaper solution with more available programming on the Internet. At least Comcast is giving me a heads up about the change. It’s pretty easy for media companies to simply flip a switch and take away stuff that we take for granted.